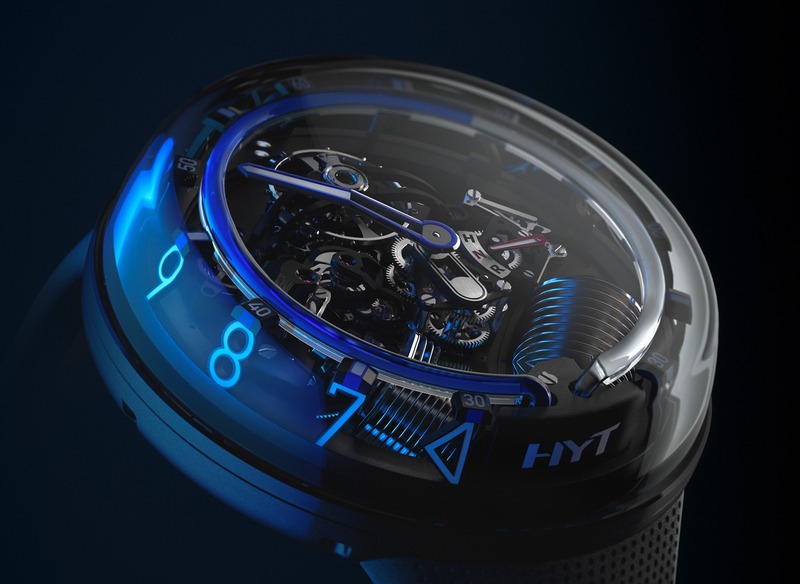 Last week at Baselworld HYT officially launched the second generation of their liquid mechanical timepiece. 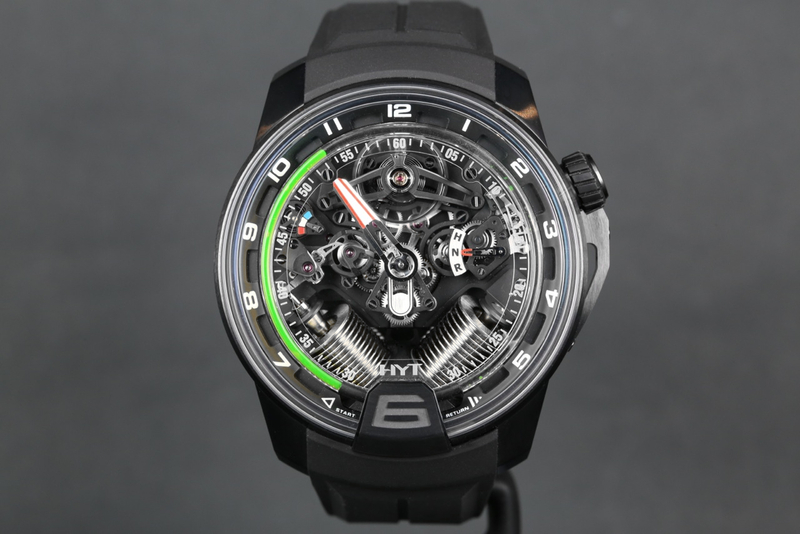 In conjunction with Audemars Piguet Renaud et Papi, HYT essentially reinvented the H1 — by changing the bellows which pump the fluid into the tube which displays the hour — into a “V” pattern thereby improving the timepiece’s form and function. 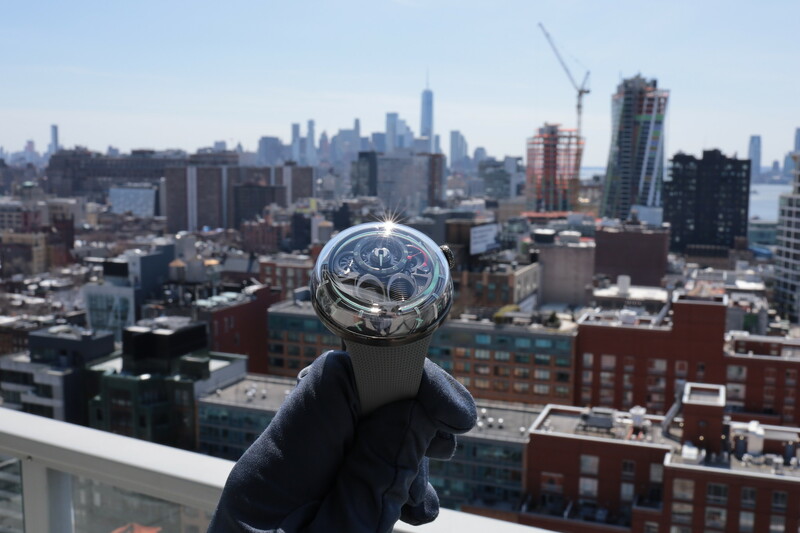 The new configuration offers a more complicated visually appearance and offers better integration between the interface which connects the watch mechanisms with the fluidic system. 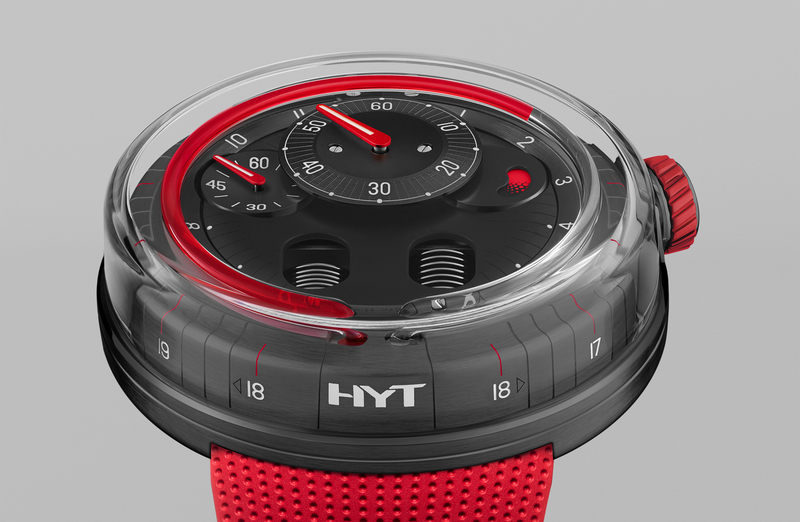 Also, for 2013, HYT created an H1 with red fluid (pictured below), as well as adding a smoked grey and bright yellow resin case (pictured below) to the lineup.